But since then, we’ve been coloring with crayons or markers nearly every single day. 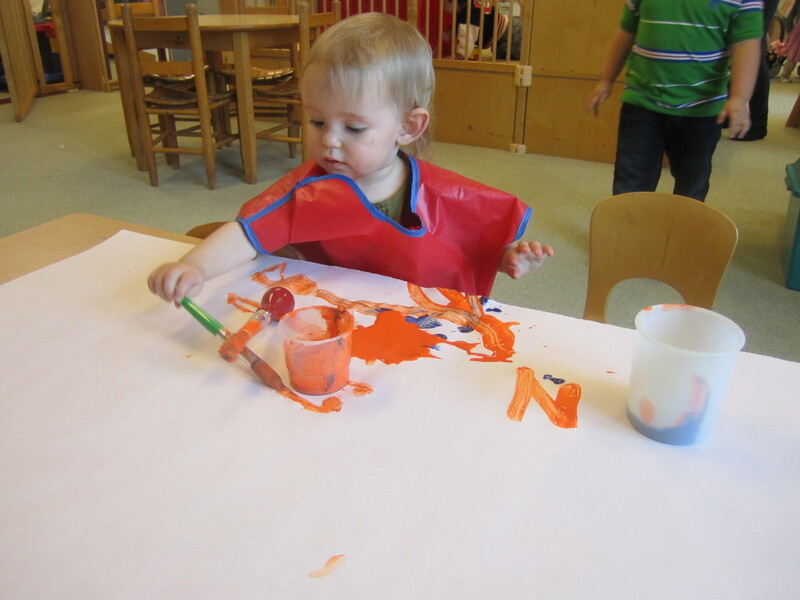 I read online about making homemade paint when I started to wonder what was in the finger paints at the ECC, and we tried that too. 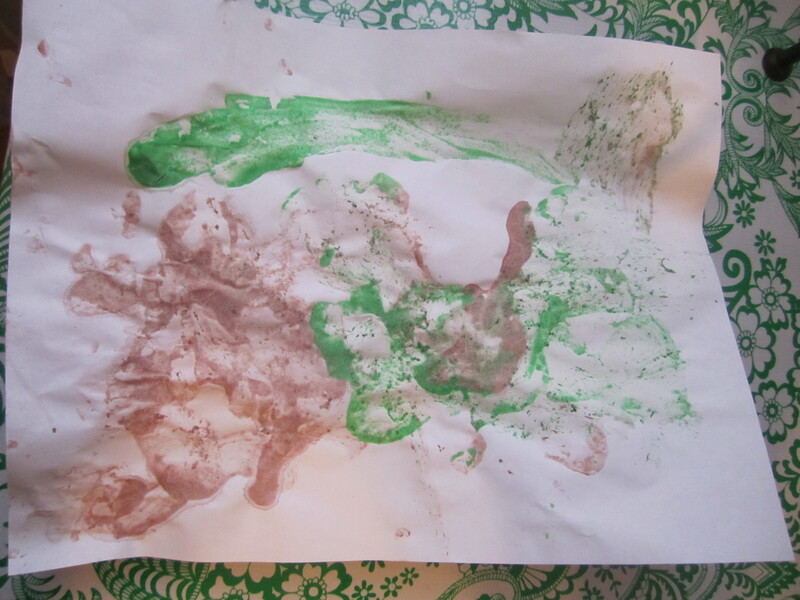 Equal parts flour and leftover beet cooking water = edible pink finger paint! I tried to make green with artichoke water, but it was too pale so I ended up using green food coloring, which is arguably unhealthy, but can’t possibly be as bad as bottled paint. It worked pretty well. 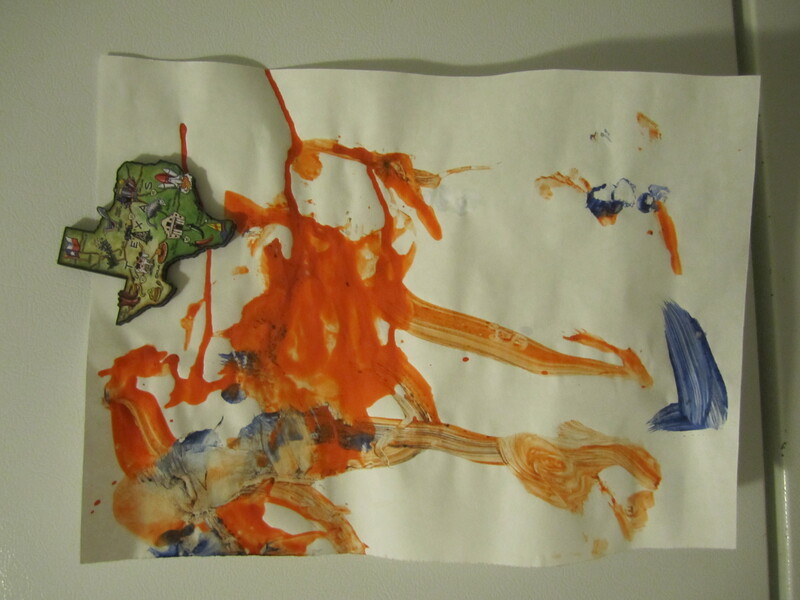 I think I could have used a little more flour and a little less liquid because it did make the paper wrinkle, but for a toddler art project it’s perfect and it’s cheap! 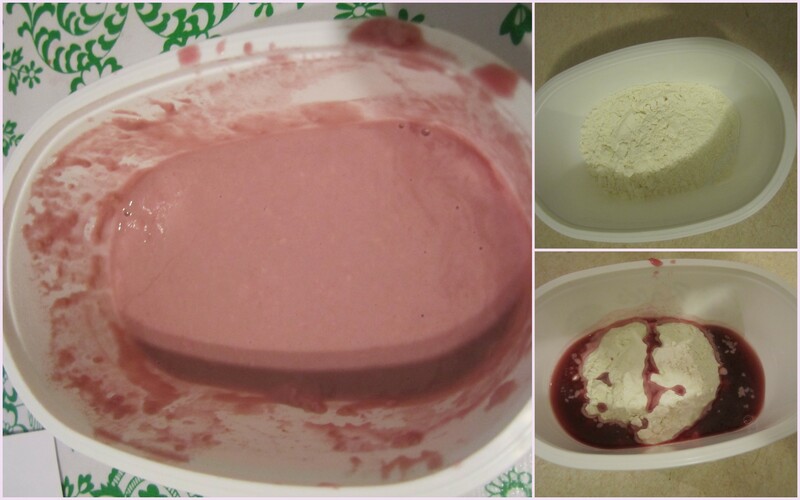 I’m going to try making some salt dough next. I’ve also been having fun planning some creative things for that homemade giveaway I did. It worked out that I only received 5 comments, so everybody won and nobody will be disappointed. I have some great ideas, I just need to turn them into reality. But first, I had to do something for myself. 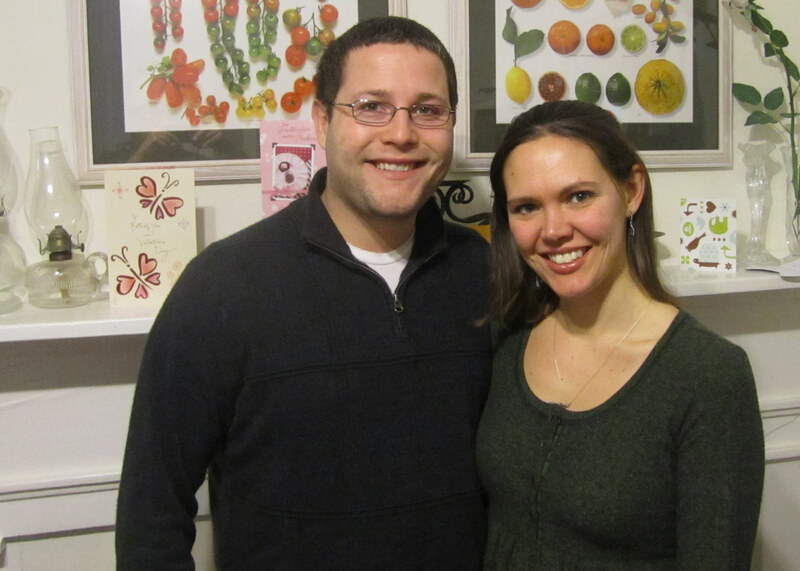 Chris and I took advantage for his father’s visit and went on a baby-less date Wednesday! We fed Nora and put her to bed and then tip-toed out of the house for a European (8:00) dinner at the Sea Grille ($15 entrees on Wednesdays…so good). It was super fun and a little bit decadent (we bought a bottle of champagne – yay, tax return), but the last time we went on a real date was in August! Of course I wanted something new to wear to celebrate the specialness of it, which was just the push I needed to finally hem a dress I bought over the summer. 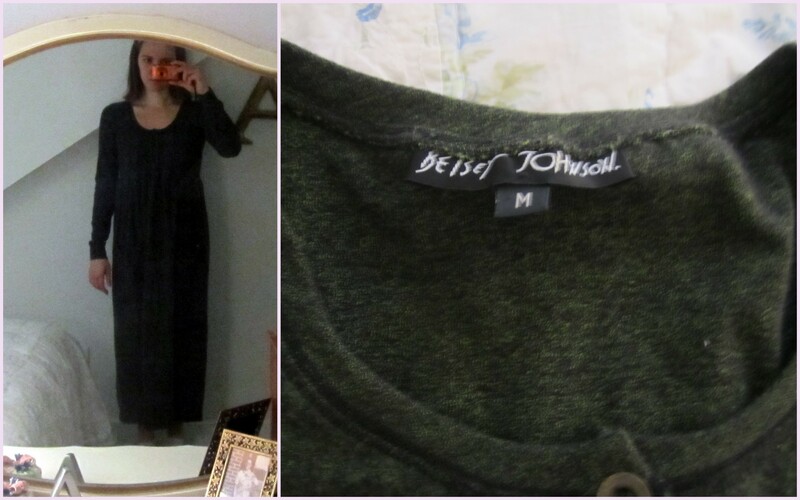 It was a yardsale find that I almost passed over because it looked like a mom dress. 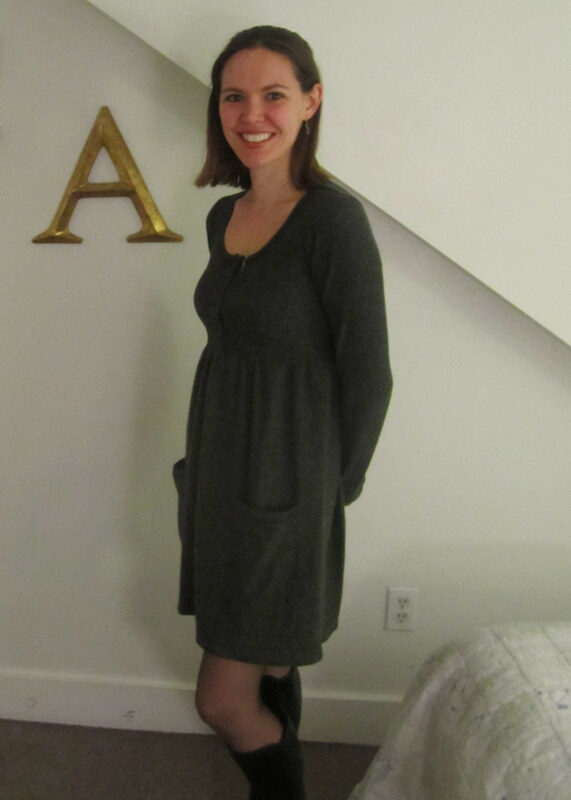 I may be a mom, but I’m not the kind of mom who wears ankle length sweater dresses: But I took a second look and realized it was a Betsy Johnson (I.e. 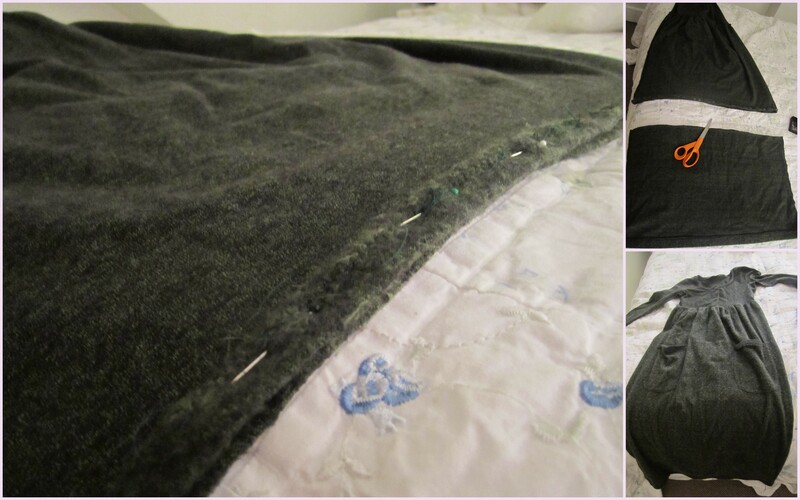 worth a couple of hundred dollars) with real potential for someone with a sewing machine…and it was marked $5! It’s been hiding in my sewing closet waiting for me to take 20 minutes to make it wearable, and Wednesday, I did just that. Not bad, huh? I have a great plan for the 30 inches or so that I cut off the bottom, which I think someone will really like. Stay tuned. Hahaha…. So that’s how you’ll get me pack to Nantucket, huh? I have to say, that yard sale we went to was great. I’m wearing the black trench I picked up today as it’s so nice. 🙂 And btw, your dress looks awesome! I’ve been trying to set aside 20 minutes to make a yoga mat strap (it’s essentially a big “I” using velcro and heavy ribbon) and every week it keeps getting pushed aside… of course, my excuse has been that it’s too cold up in the attic where the sewing machine is but that’s going to change very soon. 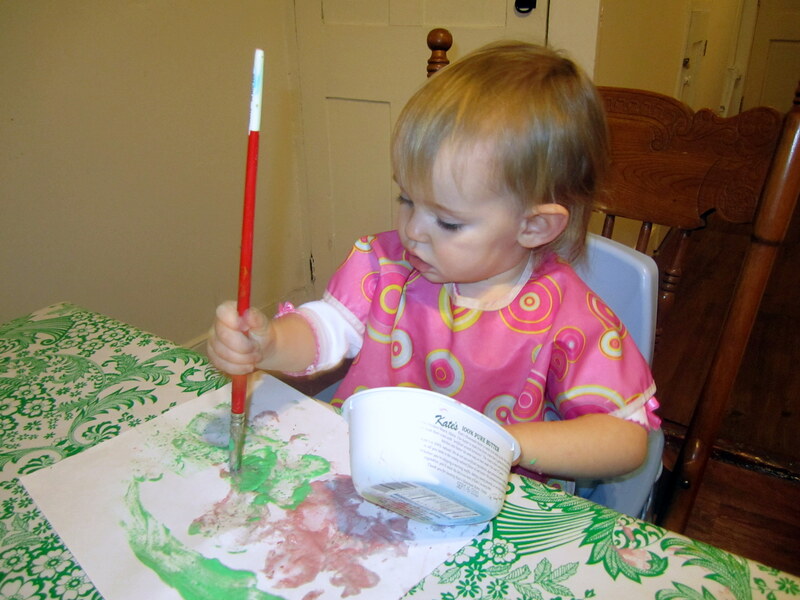 Have fun painting with Nora!